What is the secret behind the flawless, seamless, makeup look of celebrities? Its not that they all have great skin and just shine naturally, but it is also not something that is out of reach of everyday folks either. If you asked them, they (may or may not) tell you that their makeup artist has an airbrush makeup machine. The time when this technology is only available exclusively with makeup artists and celebrities is over. These days with a home edition of airbrush makeup machine you can have a professionally done look in a jiffy, daily without the help of a makeup professional. 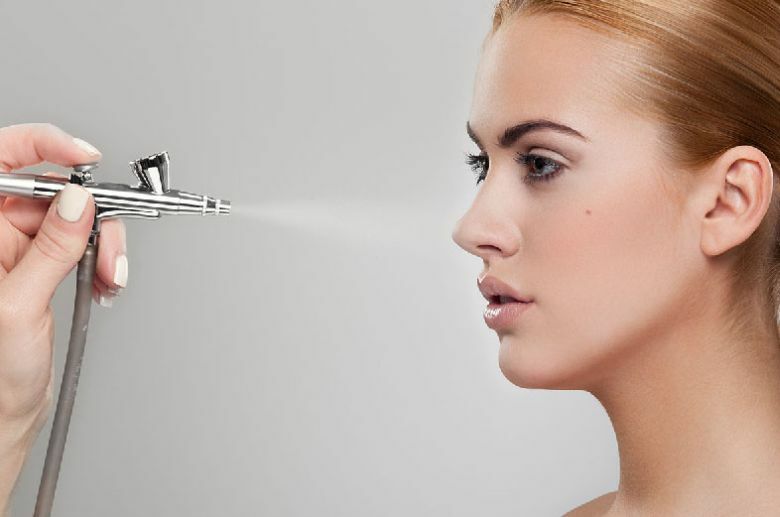 Airbrush makeup machines are not so expensive and will be an asset to add to your makeup box. It will achieve for you the celebrities' seamless, flawless look. In what way does the airbrush makeup machine operate? It works with a small but powerful air compressor that pushes air into the foundation through an applicator that sprays the makeup onto your face in an easily layered coverage that kisses your skin in gentle jets of air. The smooth layering that is possible with a machine gives you the option to have little or more makeup coverage for problem areas of your face like scars, acne, birthmarks, rosacea, or dark circles around your eyes, without having to cake on makeup.